One of the most important parts of starting a business is creating an engaging and valuable website. Yet, this is no easy feat, particularly for inexperienced owners. If this is your first company and you’ve never built a website before, you could be forgiven for feeling a little intimidated. There are lots of different platforms to choose from and, without a strong knowledge of their respective benefits, choosing between them is tricky. In this article, we will show you how to choose an Ideal platform to build your Website. The process can be made easier by identifying your needs and searching for a platform that fulfills them. For instance, affordability is a top priority for most businesses. It should also be simple to use, responsive, and flexible. If you’re hoping to grow quickly, you’ll need a platform that is scalable; otherwise, you’ll have to switch to something completely new once your initial choice becomes too restrictive. This guide to choosing the right platform for your website will show you the basics and give you the knowledge needed to get it right. For more in depth advice, consult the experts at Soul Digital, Melbourne’s leading digital agency. The website builder is a fairly simple beast. The platform is relatively basic and allow users to construct websites via a drag and drop interface. Two recognizable examples are Weebly and Wix. You start off with a pre-configured template (chosen to match your needs) and then you customize it to fit the business. The big benefit of website builders is that you can choose to buy a platform and hosting package. These dual deals are extremely cheap and, as you’re handing over responsibility for hosting to an external company, you don’t have to worry about coding or routine maintenance. The downside to this level of simplicity is that it doesn’t offer much variety or potential for expansion. 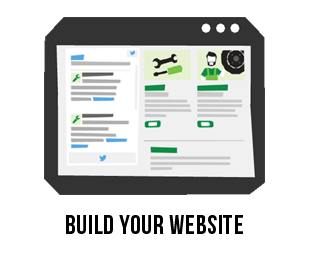 Take a look at this how-to guide for choosing a website builder. Be sure to read reviews of website builders and do your research before selecting one. With a content management system, you get a lot more direct control over the design and structure of your business website. You’ll also have more input on its functionality and performance. The most famous content management system is, of course, WordPress. If you can (or have) used this website, you’ll have no trouble mastering this platform. WordPress, in particular, offers a huge variety of plugins, developers, themes, designs, and services. The possibilities can feel endless when using a platform of similar quality and scope. However, you will be responsible for regular maintenance, backup processes, updates, and security. If you want a resource that is less hands on, you’ll have to pay for outsourced services. On the other hand, Blogger is also a very popular content management system that provides not only free usage but also unlimited bandwidth. Thanks to Google, this platform has its list of unique features such as SEO score, templates, services and etc. If you want to learn more about Blogger then check our Blogger Tutorials, Blogger Tricks and Blogger Beginner's Guide. For businesses that are solely based on retail, an ecommerce platform is the best option. They allow users to bypass unnecessary functions and jump straight into a sales structure and design. Plus, hosted platforms take care of security for you. So, your business can get on with the job of making a profit, without constantly dealing with technical issues and concerns. If you’re operating an online store, security is paramount. Your company is liable for all data breaches and must make sure that customer information is protected. For this reason, hosted ecommerce platforms are the ideal choice, particularly if this is your first business. With constant transaction security and support, the customers can be real focus. The ubiquity of mobile connectivity means that all business websites should now be compatible with a range of devices. This can be tricky at first, but with the help of a reliable digital agency and support team, you can learn how to create truly modern platforms. It is time for you to take your business to the next level, so remember to dream big and build clever.